Spring-fresh air in Reims told me that the day was to one for elegant wines. And a great highlight was to happen on walking into the bureau of Reims-based champagne house Louis Roederer. First this family-owned house, with 100 hectares of biodynamic vineyards out of its 240 ha is proud of its 70% self sufficiency. This gives it cred as bubbly with soul and clearly a lot of past vision. Champagne is a grand vineyard of 34,000 hectares dominated by small growers (average plot holdings are 5 ha) selling grapes to producers, elaborators and houses such as Roederer. Roederer is 17 years down the track with bio grapes of chardonnay, pinot noir and pinot meunier varieties. How significant. Tasting the champagnes allowed me to clearly recognise a flavour roundness (elegant wines) I’d expect to be derived from the vineyard; not achievable other ways (in the winery). The natural and widely used process is malolactic fermentation (acid reduction). Here in Roederer’s own-grown crops it is not needed as any grape in-balance compensation is not required. Growing grapes the Roederer way fixes that in situ. A high achievement with a nudge towards the advantage of bio over conventional growing. Are the vines in sync with the moon? If not well there is a clearly defined and recognisable flavour and acid ripeness in the wines I tasted. Unbelievably good too. It does not surprise me that the 30% of harvested grapes Roederer buy from growers will have partial malolactic fermentation where acid balancing is obligatory from grapes not quite on the mark. Our France wine tours take guests through the regions of Champagne; the Montagne de Reims, Vallee de la Marne and Cotes de Blancs, offering introduction-only visits to caves, only some open to the public. If you’d like to find out more about this exclusive guided experience for lovers of wine and food, you can call me direct on +61 427 705 391 or email denisew@uncorkedandcultivated.com.au. Champagne houses are known as negociants (NM on all labels) who trade in grapes for their needs to spread wines throughout the globe. The sources are geographical (Reims mountain, Marne Valley and White Slopes) which dominate the industry plantings) according to variety and microclimate dictated by history. Roederer respect this traditional pattern. Their top wine Cristal always has to have it grape origins in all three regions (mountain, valley and slopes). Additionally Cristal comes from the best vineyards (grand cru) possible and this is from terroirs (soil) with high chalk content; it gives the Cristal taste. Cristal is not made in years where grapes fail in any of the three regions; such as 2001, 2003, 2010 and 2011. I drank 2009. 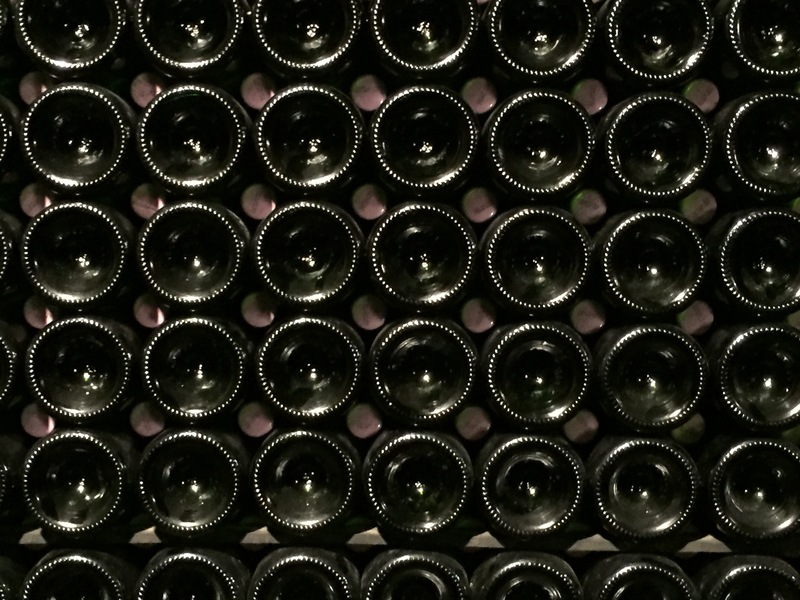 In undeclared vintages to Cristal designated grapes end up as future reserve wine to preserve the chalk-grown personality of the clear (non fizzy) wines. 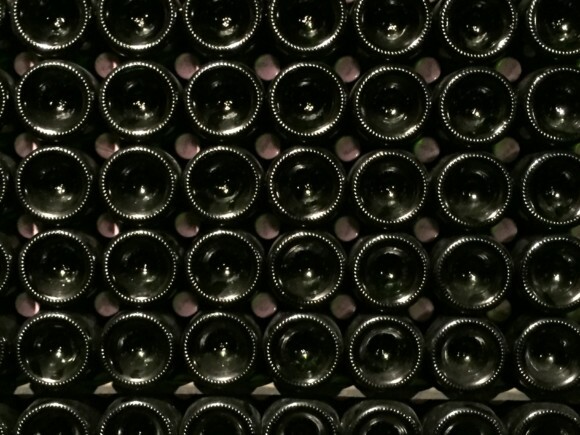 We are 12 metres down, the air is cold, 11 oC, and all the bottles in every tunnel I see are Cristal- 750 ml, 1.5 l, 3l, 6l, 9l all the way up to 12l salmanazar. Here the wine is manually finished (sediment shaken down) while mainstream wines are mechanically turned for lees removal. Back above the winery has 450 tanks to hold clear wines. That is so because there are 410 parcels of grapes by variety harvested, each pressed separately and maintained that way until blending. More emphatic a spectacle is the process of storing older bulk stocks (reserves) in large barrels or foudres (2500-5000 litres), 150 of them, held underground in use for up to 40 years, then replaced. Oak is old and does not make reserve wine oaky, just complex and personality plus. Cristal 2009 is 60% pinot noir 40% chardonnay, all grand cru, the mountain pinot from Verzenay (north facing vines on chalk), the valley pinot from Cumieres (south face chalk) and slopes chardonnay from Cotes de Blancs. Taste-smells complex, some age expressed as smoke and flint, has a sphere of flavour which goes creamy and ends up elegant as acidity sits behind the wine. Round, fine, still fruity, emphasises the use of older vines well established in chalk. From a rich and ripe year. Roederer 2009 is 70% pinot 30% chardonnay, again filling out in flavour from a very warm year of growing; rounded and full, not too much flavour, just complex, lots of oyster shell from lees time, seaweed complexity, a lot of influence from north-facing pinot vines, partial oak fermentation gives robust finishing notes. Roederer Rose 2011 is 70% pinot 30% chardonnay; the pinot from Cumieres, carefully harvested to make a special wine. This has perfume, lightness, aroma sweets and succulence, very subtle wine to make a drinker think. The key lies in an innovation making concept. No red wine is added. Grapes are chilled, berries hand removed and sorted, then cold macerated 5-7 days, chardonnay juice added, all pressed together to be fermented. Has a wonderful strawberry glisten, a light touch. Special wine. Uncorked’s next visit to Champagne and the champagne houses commences in spring 2018, see if you can join us, the experience will be memorable. Please enter your email address to subscribe to the latest wine and travel news and receive notifications of new posts by email. Subscribe to our mailing list and get Peter's latest posts to your inbox.